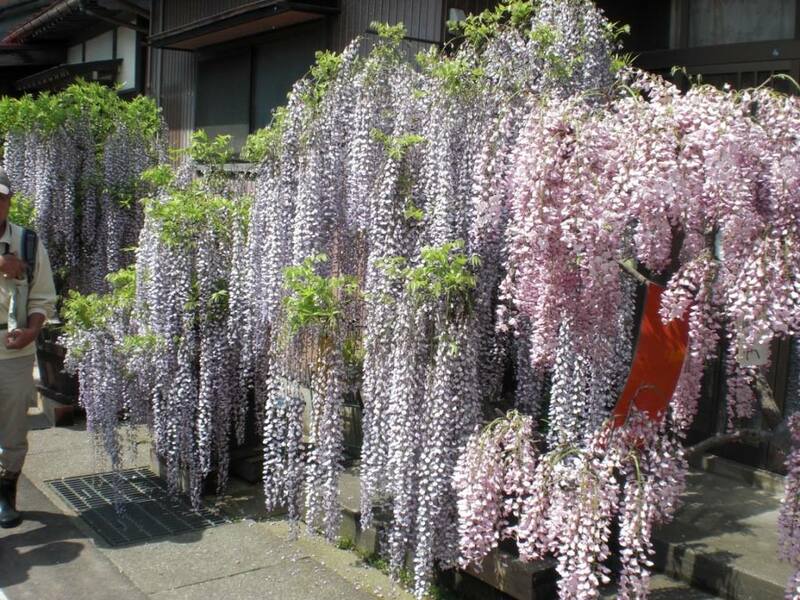 The community of Aramachi has long had a fascination with wisteria flowers. 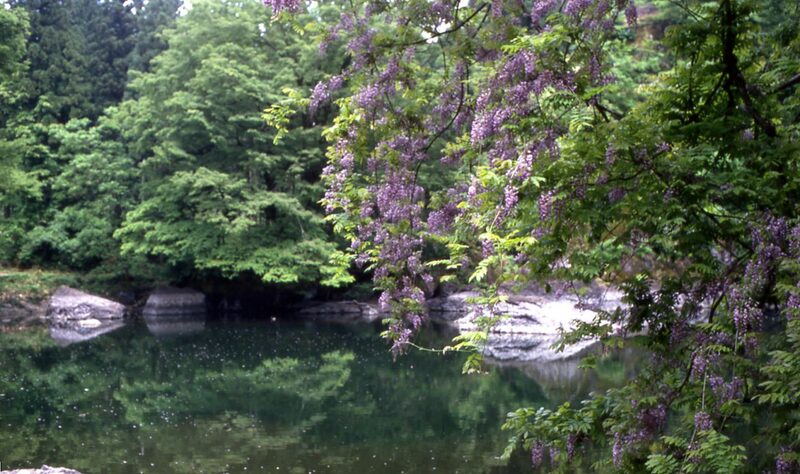 The nearby Tsukimizu-no-Ike Pond has been famous for its wild wisteria for centuries. 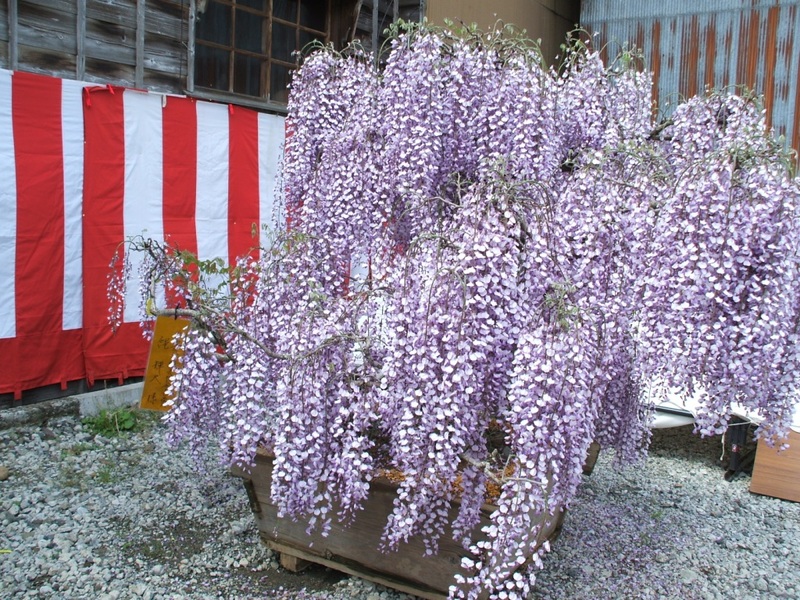 What started as a private practice of growing ornamental wisteria flowers blossomed over time into a full-fledged festival, with dozens of wisteria flowers blooming on either side of Aramachi’s Main Street. Each plant is cared for by local residents who use the festival to showcase their work. The flowers are judged and awarded medals, which the residents proudly display. The festival starts in early May and runs for about two weeks. 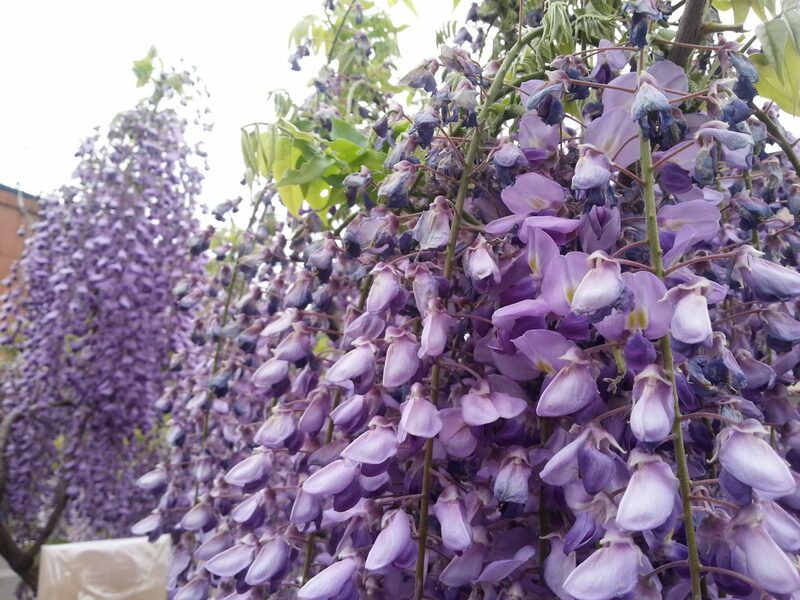 While the exact timing of the blooms varies from year to year, the time around the 10th of May is usually the best time to enjoy them.